I've been looking for a pair of flares for quite a while but finding the right ones has been pretty difficult! I wanted a pair that would take me from day to night, wouldn't pick up a load of dirt with every step, and ones that I wouldn't have to wear heels with. When I saw these on ASOS then, they ticked every box. I bought them a couple of inches longer than my actual leg length so I could wear heels and ankle boots with them and cunningly make my legs look that little bit longer). Loving this outfit. 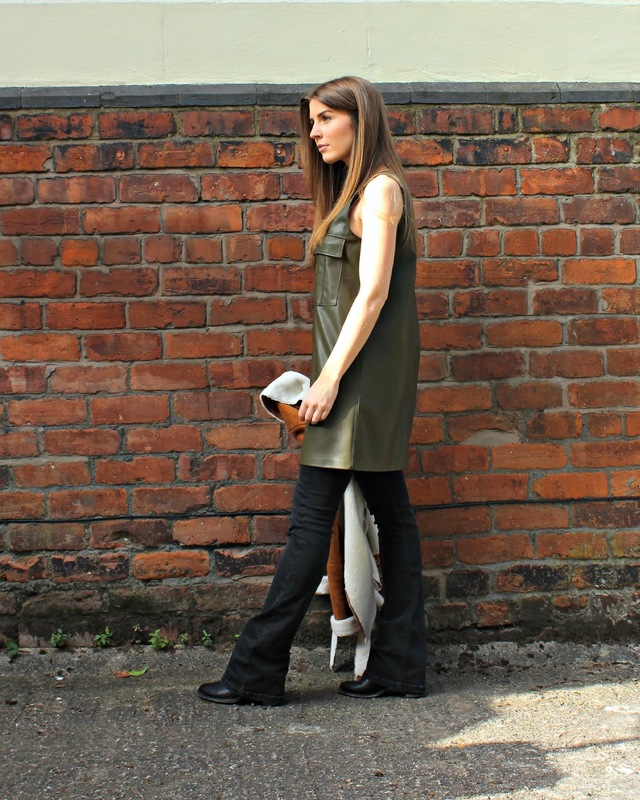 Gorgeous flares - worth the wait!